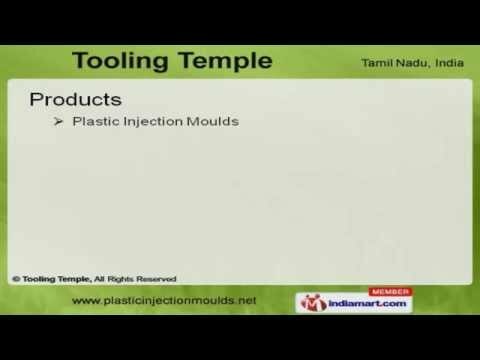 Welcome to Tooling Temple, Manufacturer and Exporter of Plastic Injection Moulds and Components. We are an ISO 9001:2000 certified company, established in 1992 at Coimbatore. We have spread our wings to Automobile, Textile and other industries. Efficient technical support, customized solutions and qualified workforce are the reasons behind our success. We offer a wide array of Plastic Injection Moulds, Machined Parts and Design Services. Our Plastic Injection Moulds are in huge demand across the global markets. Plastic Injection Molded Parts offered by us are some of our best selling products. Our Polypropylene HDPE and LDPE Parts are a class apart. We also provide Machined Parts that are available at industry leading prices. Along with that we offer Design Services that are extremely reliable.